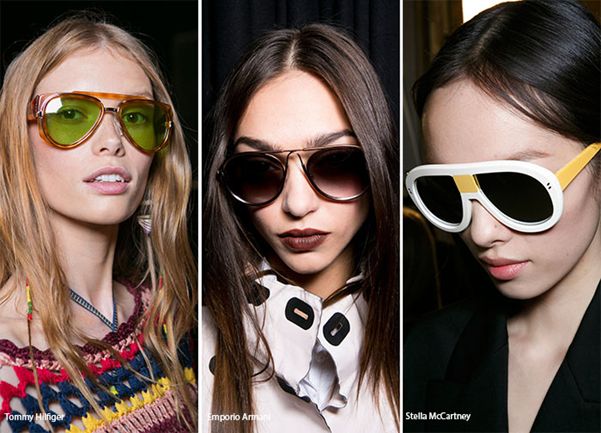 Judging from the superfluity of eye-catching eyewear that has been getting attention over the last decade, be it on the European ready-to-wear runways or by the fashion industry in general, it is clear that glasses have gone from necessity to chic accessory. Whether we love wearing them as a quick fix for not having time to apply make up or as a fashion statement, sunglasses change every season together with our wardrobe. Your are these days never fully dressed without a pair of great shades and choosing the right sunglasses are a significant style marker! Oh yes! So what’s in store for the next season? 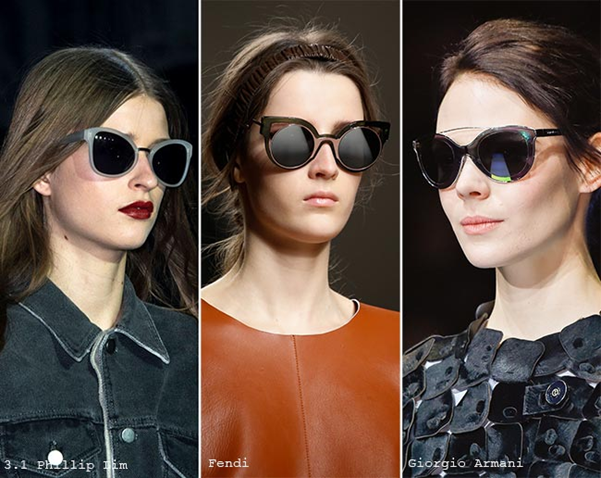 Whilst some popular 2015 styles are still around with some tweaks, common trends for spring summer 2016 are sunglasses in flashy, colourful, ombre and irregular sizes by top fashion brands including Fendi, Giorgio Armani, Stella McCartney and Rochas. A cat’s eye shape is a classic. But this season, the style was reinvented with sharper edges. Aviatiors are still popular in shape though in spring summer 2016 the trend is more futuristic, ombre shading and colourful lenses. Classic dark shades are always popular. 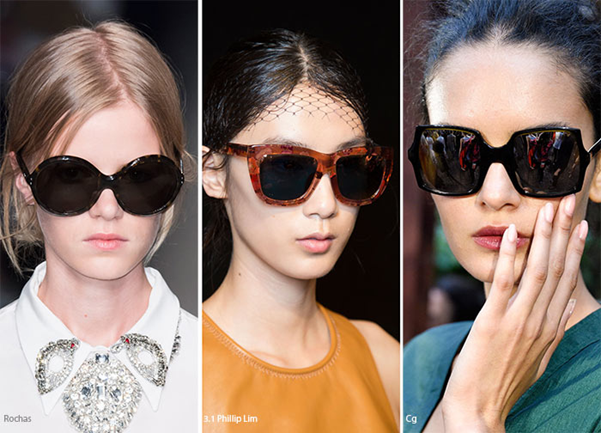 This spring/ summer bigger shades are highly popular. Go big or go home! Please note that you can now subscribe to a free e-newsletter with the best blogs of the month by going to the side bar on our blog page. Love to all you fashion divas out there! I have fallen in love with these sunglasses after seeing the beautiful pictures of sunglasses. These are really stunning. Everyone should have at least one lovely pair of sunglasses to get smart and attractive look. Where else could I get that type of info written in such a perfect manner?